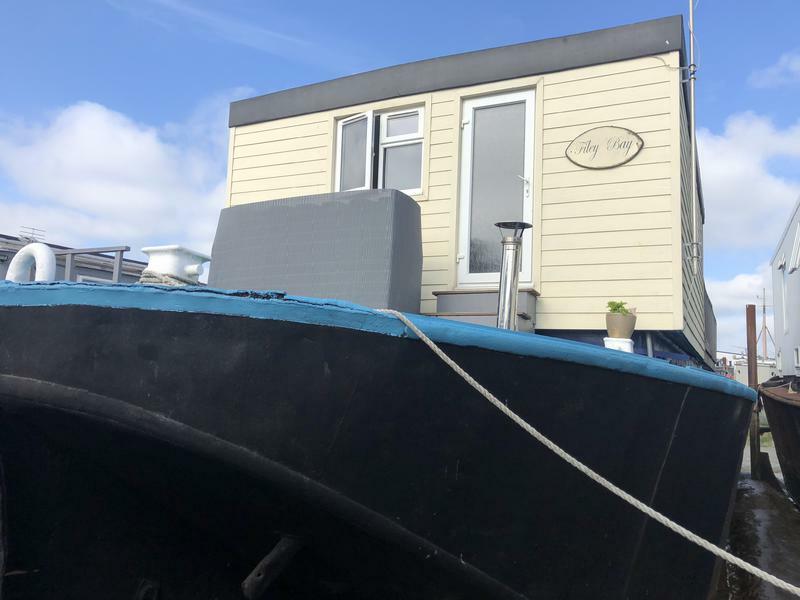 Premier Houseboats are pleased to present Filey Bay, a spacious and well presented houseboat on a secure residential mooring. Filey bay has both spacious internal space, whilst making the most of the surroundings by having a large decked terrace area, and has been redecorated throughout. The large kitchen diner (6mx5m) comes with fantastic amount of work surface and fitted units, freestanding gas oven, washing machine and fridge/freezer. Double doors lead to a conservatory area (4mx4m), well built and nice and light. Further double doors lead to a large decked terrace area, offering superb views, and with fencing around for further safety. Wide stairs lead down from the kitchen diner to a large lounge area (6mx6m). There is access to the diesel boiler ( fully serviced in 2018), and an office area. The lounge is extremely spacious, well decorated and with high ceilings. A wide corridor (6mx1m) leads to a large double bedroom (4mx3.5m), family bathroom (4mx2.5m) with shower, toilet, hand basin and bath, and an large master bedroom (5mx4m). The Master bedrrom has been updated with his and hers walk in wardrobe areas. There is a door from the master bedroom leading to a workshop and storage area. The downstairs area has new flooring and is well decorated, with portholes along each side providing natural light, airflow and a classic nautical feel. The entire boat is extremely well finished, the design gives a feel of space and comfort, and as a family home makes the very most of its space and surroundings. 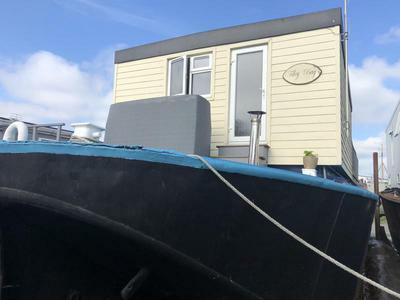 Vessel name: Filey Bay Vessel condition: Good Year constructed: 1948 Year refitted: 2007 Berths: 4 Cabins: 2 Heads: 1 Length over all: 85' Beam: 19' Maximum draft: 3' Hull material: Steel Hull type: Flat Fuel capacity: 1000 Litres Disclaimer Premier Houseboats offers the details of this advert in good faith as it was presented by the seller or his representative but cannot guarantee or warrant the accuracy of this information nor warrant the condition of the described item within this advert. A buyer should instruct his agents, or his surveyors, to investigate such details as the buyer desires validated. The Item described within this advert is offered subject to prior sale, price change, or withdrawal without notice.